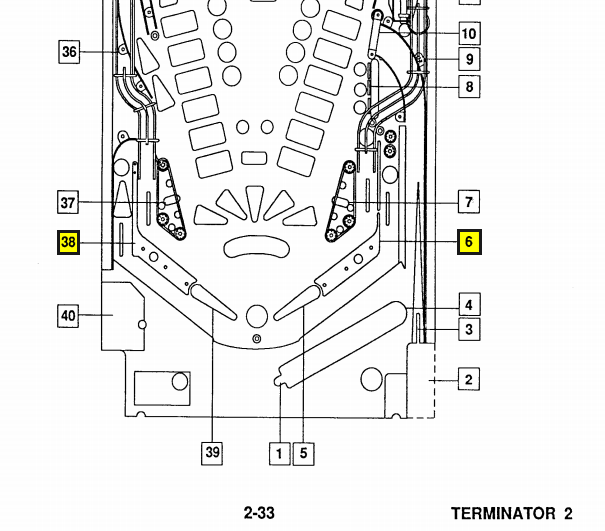 » Forum » All Pinball » Correct flipper Flipper Return Frames/Guides for T2? » Correct flipper Flipper Return Frames/Guides for T2? Correct flipper Flipper Return Frames/Guides for T2? On the left I have the 2 hole version with the long ball guide. On the right I have the 1 hole version. Maybe they thought the 2 hole versions would add a bit more light to the play field and plastic art?